I do not know how many Nebraska anglers heard the news that some areas of erosion were found on the Red Willow dam this fall. The water level at Red Willow is being lowered as low as it can go, and it will stay at that level until the problem is resolved. How long that will take, or what will be done, I have no idea. All I can tell you is that you can stay updated here, http://www.usbr.gov/gp/nkao/redwillow/ . Yes, the Red Willow fishery will suffer. I always say that “fish need water” and with less water in Red Willow Reservoir there will be less fish. I am sure some fish have already left the reservoir with the water that is being released. However, there will still be some good fishing at Red Willow in 2010. Just keep in mind that there will only be a few hundred acres of water and access may be a challenge. 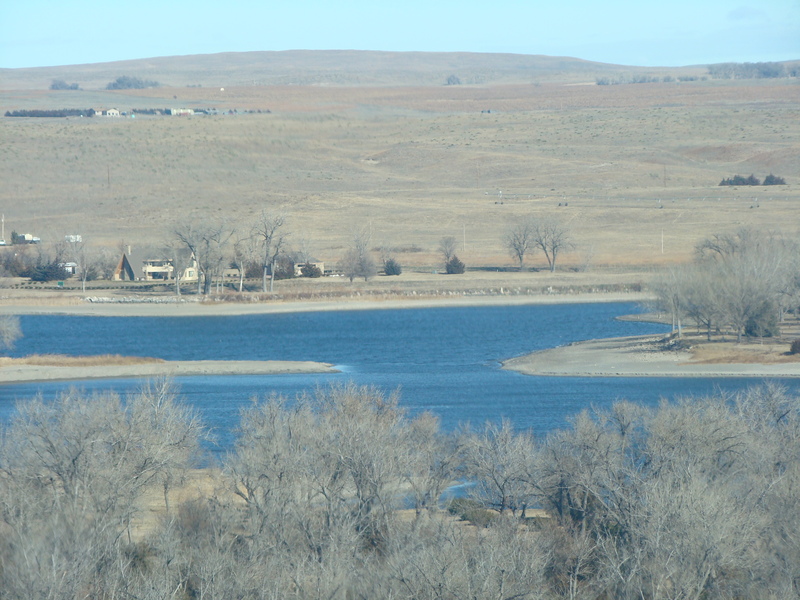 Lake Ogallala was also drawn down this fall as low as it could go. 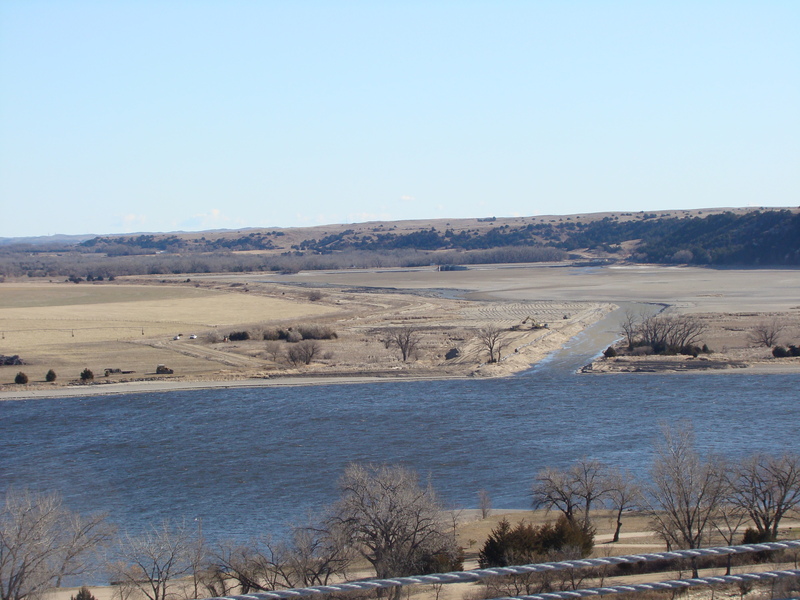 The power district that owns the reservoir has been doing some dredging work that will improve water circulation in Lake Ogallala and that will provide some modest improvements in water quality. I do not know all the details of the work being done at Lake Ogallala, but I have some photos of the work that was done this fall. I know one thing they did was to widen and deepen the “narrows” area between the north and south basins. I also know that they dredged a channel that will allow water to move from the south basin into the the Keystone basin. I think you can see that those changes will affect fishing patterns in Lake Ogallala in the future. Successful anglers are anglers who are flexible and can adapt to conditions that are always changing. Central filled Lake Ogallala back up on Monday and Tuesday of this week. Thanks for the report, Scott!